Best BBA coaching in Jaipur by Sanjay Commerce Classes, BBA (Bachelor of Business Administration) is a 3-year degree course which delivers a student with the basic management information and develops the right skill for entering into the corporate world. From the student point of view, choosing a right coaching class is the most vital decision in their life. Most of the students, after completing their 10th and 12th they decide and choose which course is best for their future. 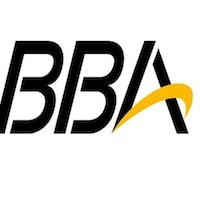 Most of the students choose the BBA courses because in BBA courses many options are available for better future. For a successful career, we must to the right course as your interest, and then also choose for the right coaching classes. We provide the best BBA coaching in Jaipur. We have the main motto of “Students First” and hence we provide personalized attention to all our students. We help them not only in the regular classes but also prepare for the competition exam for their future career. We have a team of experienced faculty having the year of experience. Our course material along with regular classes cover every aspect of preparation. We maintain all the system and every student is important in our coaching classes. We guide all the students in the proper way to their better result. Our expert team is full-time available to solve the student’s problem. They managed all the records of each student. Weak student batch is also available in our classes so they also provide the extra classes. Many students have lots of queries arise in their mind. Faculty also solve their problems in an easy manner. In coaching classes, the best environment is available so that students concentrate only in the studies. For tally subjects, also provide the computer facilities. So this all are the benefits if you join the Best BBA coaching institute in Jaipur. In Jaipur, many coaching classes open daily by daily for students to find the best coaching classes in Jaipur.